What was your situation at the time of your divorce – your ages, children, length of marriage? Why did you go to a solicitor? What was your impression of what a solicitor would do for you? How far did the divorce process go on his petition? Did you know anything about the divorce process before this? At the beginning of this case, how well did your solicitor explain things to you? What stage were you at when you decided to self-rep? I was already divorced and ancillary relief was done and dusted but he then took me back to court for contact issues and variation of maintenance. When you decided to Self-rep, how much, if at all, were costs a factor - what had you spent by this point?? Had you already been billed by Legal Aid when you made your decision? Had you tried any other routes - mediation etc? Were you aware of other options? Had you dispensed with your sol when you decided you were going to be a LIP? If not, was there a reaction? I sought legal advice from a different solicitor who encouraged me to Self-rep!!! When you became a LIP had you any idea what it involved? It must have been very different from your experience in your first divorce? How did you feel once the decision was made? Did your being a LIP change the way his solicitor behaved? I think so although in the last case my ex started with solicitor and then dispensed with him before the final hearing a week before. I was miles ahead of him in knowing the legal process! How did you prepare for your first court hearing? I had sent some preliminary letters to his solicitor. I prepared a short statement to read in court and then took directions. It seemed to work ok! How would you describe what happened? It was a 10-minute hearing, I had made the application and he cross-applied. We went into court, I said my bit and then the judge gave directions and that was it. I had been to the same court many times so was not intimidated. The court ushers and clerks looked after me. I knew where the loo was, the coffee machine and where to have a fag so I was ok! With hindsight what could you have done differently? Not worried so much. Would have liked to have taken a friend or a book, there was a lot of waiting around! As I understand it, judges etc are meant to help LIPs ... what was your experience? I had quite a few judges! The first one who conducted the original case was old school and very scary! I had a lady judge for another hearing who bullied my x into submission so that worked in my favour1 The last judge was very directive and kept the proceedings very tight, he asked the question and we gave the answers! He explained the legal process and his expectations of the case very clearly. He didn't stand for any nonsense but was fair. I was the applicant in the case and he didn't give my ex much of a chance to put his side of things. He congratulated me on my bundle! I think he had made up his mind before we even got in there!! Did you settle in court? How did you cope with the negotiation process? We have never settled!!! There wasn't much negotiation to be honest, the judge sent us out for a cup of tea and then summed up, asked a few more questions before making his decision!! Does your ex-husband follow the Court Order? Begrudgingly! I was given costs and had to go to ‘Moneyclaim’ online to get it… again advice from Wikivorce! How much do you think your attitude helped you to get through it? Looking back at the LIP experience - what was good about it? Preparing the paperwork took hour and hours!! What would you say to anyone considering LIP? If you are feeling emotionally strong enough go for it, you can get all the information you need from a couple of good books and Wikivorce!! If it is straightforward, there should be some kind of divorce process that doesn't involve the courts..... one stop mediation. The problem is that marriage breakdown is such a massive emotional drain on people's ability to think straight when they really do need to have their wits about them. I am all for a cooling off period following separation to let the emotions settle. 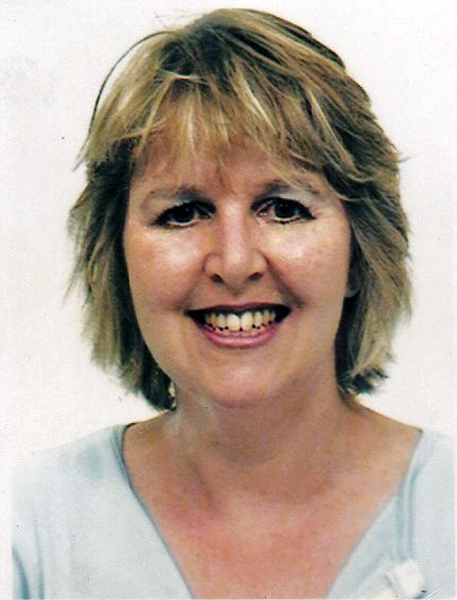 Linda Sheridan is the Editor at Wikivorce and Wikizine. She teaches English in the secondary phase as a profession, working also with teenagers and their families as a pastoral leader. Linda has a daughter and a son, both grown up and 2 baby grandchildren. She is twice-divorced.